When 26 year old Gabrian Shadwell perfect life starts to fall apart, she begins to realize how fragile the foundations of her world are. Dragged to a treacherous magical world that she knows nothing about, Gabrian discovers she is part of an ancient inheritance that has ruled over the immortal world for an eternity. 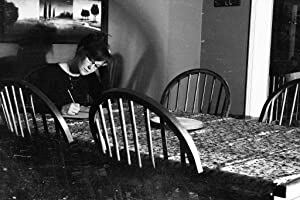 With no possible way to return to the simple life she once knew as an oblivious human, she struggles to concede to the fact that the calm reality of her world has shifted; it is now crawling with Borrowers, Mages and Shadow Walking-beings. As she stumbles through this new enchanting yet lethal realm, she loses her faith in the people who are supposed to protect her—leaving her vulnerable to an evil that lies in wait under a cloak of half-truths—eager to sway her heart and taint her moral conviction. Now Gabrian must decide who she truly is, rise above the lure of the forbidden or become one of the Covenant of Shadows’ hunted—losing her soul in the process. Fellowship? Belong to? Is she in some kind of cult or strange group that I was unaware of? Gabrian ponders, silently deciding that she is going to make it a point to monitor her future employee’s extracurricular activities a little more closely—not to mention screen her choice in friends. Ah, what did she just say? Shadow What? Gabrian’s legs begin to tremble as she feels the angst building within. Her fingers have shifted from a warm tingling sensation to a full-blown burn. She hears Rachael still talking in the background, but Gabrian’s mind focuses on trying to decipher what a Shadow Walker might be. All she catches is the word ‘Air’. “Excuse me, I didn’t catch that last part.” Gabrian giggles unwillingly. The comic book creations that her delusional best friend is trying to feed to her are a bit distracting. “All I heard was something about air.” Gabrian closes her eyes and presses firmly against the bridge of her nose, reaching for reasoning while trying to sort through all the deranged details piling up inside of her mind. She hungers for some type of understanding of how any of this could make sense. Not knowing what to say to that, Gabrian just raises her eyebrows and nods her head slowly. Gabrian freezes, the small rapport she had built with this man has now been obliterated by the words spewing out of his mouth. He seemed so normal. She shifts her view to Rachael. She seemed so normal too. She sits in a stupefied state, playing a tennis match with her eyes as she looks back and forth between them all, completely at a loss. She becomes brutally aware she is in a room surrounded by strangers who are absolutely, undeniably off their rockers. Gabrian chews on her bottom lip as she contemplates how she ended up in this situation—youngest Valedictorian in her graduating class to date, undisputable ability to detect those in need of help in the reality department, and an obsessive need to be in control of all aspects in her life to a fault. How was Rachael able to fly under the radar and get close enough to her that she was able to put Gabrian in a situation this deranged—and possibly psychopathically dangerous? Unsure of what else to do, Gabrian slowly stands up. Smiling her best I-need-to-get-me-the-Hell-out-of-here smile, she studies her route of escape and hopes to make it to the door of her apartment before any type of violent reaction breaks out with these people. 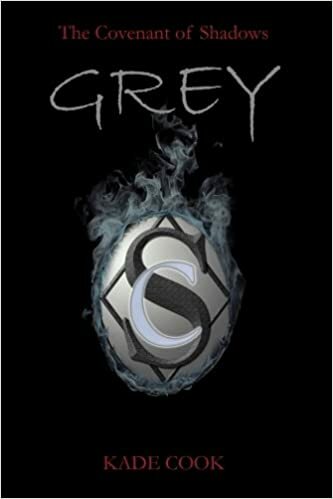 Kade Cook is a semi-retired IT Professional turned author with her book, GREY, a fantastical journey that she began writing in the winter of 2014. GREY is now completed and is the first published novel in The Covenant of Shadows series and was Shortlisted for the Canada’s best new books in Speculative Fiction, 2017 Emerging Writer’s Prize on June 27th.